Bryan Cranston explained how this superhero helped convince him to do the new "Power Rangers"
It’s morphin’ time! Actor Bryan Cranston explained which superhero convinced him to star in Power Rangers, and it’s very exciting. The 60-year-old actor is everywhere these days, and we’re very happy about it. His next venture is playing Zordon, the Rangers’ mentor, in the upcoming Power Rangers film. ICYMI, the reboot is a movie spinoff of the ’90s TV series Mighty Morphin Power Rangers. And Cranston signed on thanks to a certain superhero. 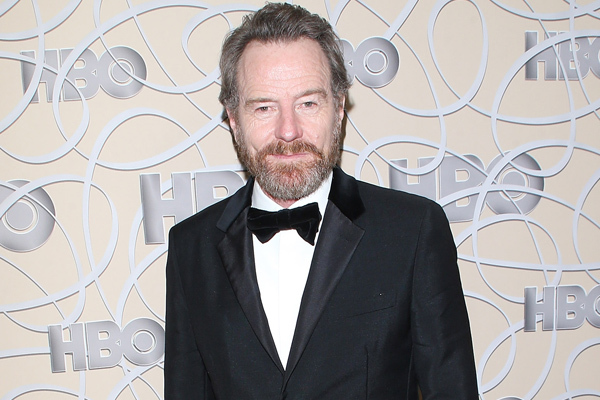 So which superhero inspired Cranston to be a part of the epic legacy? Batman, duh! "I thought, 'Power Rangers? It's kind of the [1960s] Batman television show — Pow! Zing! Whap!'" Cranston told IGN . "And I had a phone call with the director and he said, 'Think of it this way... Like Batman came from TV and became a completely different animal in the movies, so too is it here." "We're going to take this and revamp it and it's going to be grounded and real.' And I thought, 'Okay, with that, let me read it. I read it and went, 'You're right." Additionally, the movie will be different than its TV predecessor because of its action theme and more realistic voice. "The kids sound like real kids and not everyone is this great athlete and everything is working ou. I thought, 'This might be a nice bookend to what I was doing before,' since I started out doing voices." Those voices he was talking about were early on in his career and actually included work on the original TV series. See some of his Mighty Morphin work below. It’s awesome.